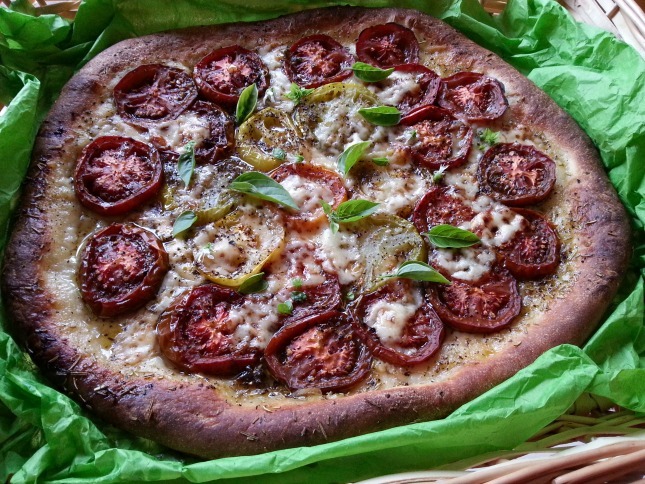 Kumato and Heirloom Tomato Pizza, delicious you will love it! 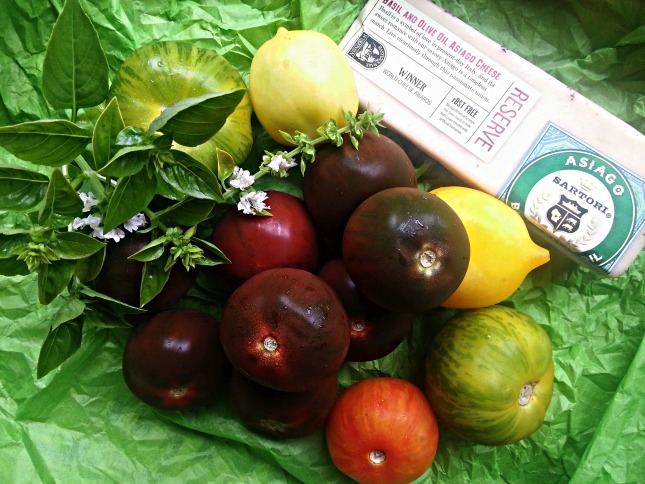 I love fresh pizza and even more when using seasonal ingredients from the farmers market. And today I am preparing fresh Kumato and Heirloom Tomato Pizza with basil and olive oil asiago cheese from Sartori a family business with a lot of tradition and history. This time of the year it is very easy to find many kinds of tomatoes, I particularly like those called heirloom and Kumato tomatoes. This Sartori gourmet cheese that I won on a social media giveaway conducted few months ago goes perfect with the fresh tomatoes I chose for making this pizza. But you might be wondering what are kumatos and heirloom tomatoes. Heirloom tomatoes are a very special kind of produce. These tomatoes have been passed down through several generations and come from very special breed of seeds and are very flavorful not like the standard tomatoes found in the market year round. Kumato tomatoes are considered the king of the tomato, the flavor is sweet and very intense. These tomatoes come from Spain where this kind of tomatoes are harvested. The color of this tomatoes goes from deep red and green to purple. And the flavor bursts in your mouth, if you like tomatoes these two types are a must try and even more when you prepare Kumato and Heirloom Tomato Pizza at home. Preparation time: 30 minutes. Serves 6 pizza slices. You will need a rolling pin for extending the dough, a pizza tray, parchment paper, a knife, a blender and a cutting board. Clean the tomatoes with running water and slice evenly. Expand the dough with your hands and the rolling pin in an even surface. Place the dough in a pizza tray previously covered with parchment paper. Add some olive oil and spread, then sprinkle oregano. Add the tomato slices and the cheese. Place inside the oven and cook at 350 grades Fahrenheit for 15-20 minutes until getting a golden crust. 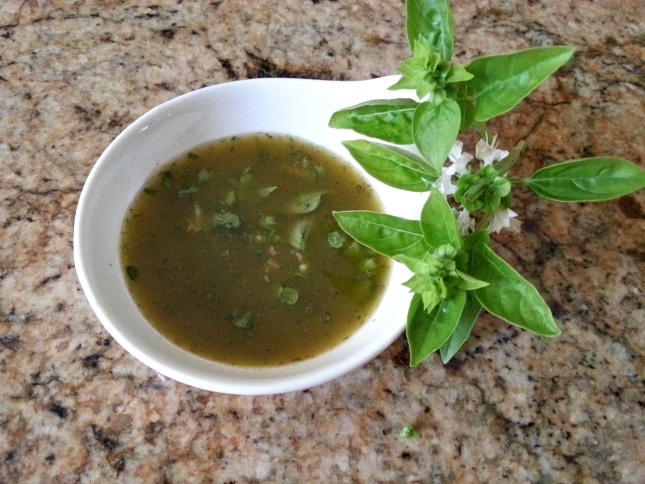 For serving I suggest to prepare a basil olive oil, for that place 1/2 cup of olive oil, 1 teaspoon of salt and 1 cup of basil leaves in the blender. Blend until all ingredients are incorporated. Drizzle this basil olive oil on the pizza, add few fresh basil leaves and enjoy with a nice drink or a glass of your favorite wine. 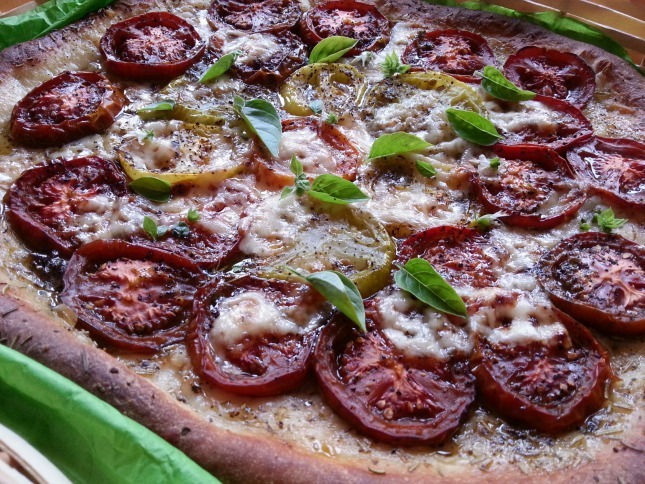 This Kumato and Heirloom Tomato Pizza is delicious you will love it! Learn more about Sartori Cheese watching this video, very touching and a confirmation this country is made of immigrants that work hard to make their dreams come true. What a great pizza! Hands down those Kumato are my fave. I have to still try your aged cheese. But the sounds of the mix with your serving mix really feels like a fabulous flavor explosion to discover. No sabia de estos ingredientes. En casa los fines de semana por lo general comemos pizza. Tendré esta receta pendiente. Adriana que linda la historia de esta compañía. 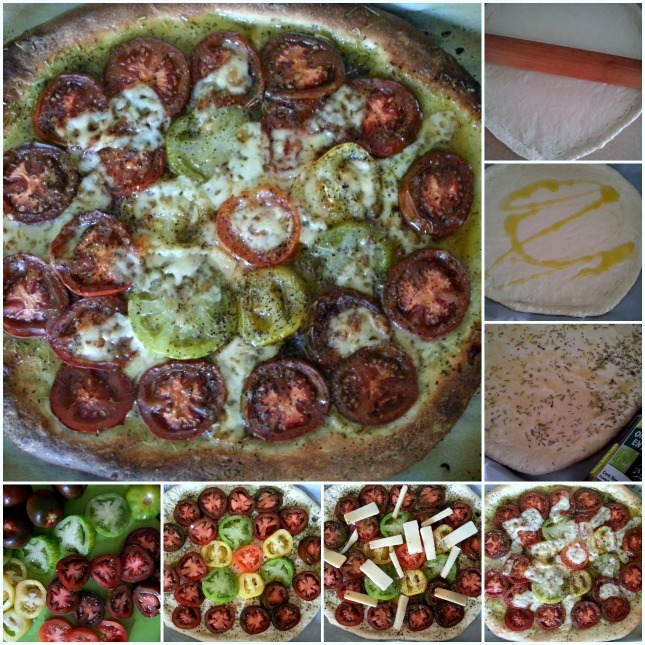 Por otro lado te cuento que nos encanta la pizza casera y en verano la preparamos afuera con lo que esta receta de tomates, nos viene bárbaro. Gracias! There is NOTHING like pizza made w/fresh ingredients!! Hope I find those tomatoes- suena y se ve BUENISIMO!! Que interesante la información que nos presentas y esta delicia para el paladar, si que tengo que probarla. Que delicia Adriana! Ayer compre unos tomates verdes! Me viene perfecta la receta! Sabes que no he probado los tomates verdes, ahora tengo la ocasion perfecta, gracias! I LOVE PIZZA! and this one looks super good!… Love that is made out of fresh ingredients! Que rico! Gracias por compartir. Qué buena idea para una pizza, Adriana. Me encanta! This looks so amazing! I have seen Kumato tomatoes at the grocery, but I have to confess I have never tried them. I was a bit put off by the color, but they look just beautiful against the baked crust in your photos. Great Post! Many thanks Julie, indeed Kumatos could be intimidating but they are delicious totally recommend to try them. Thanks for your comments really appreciate!